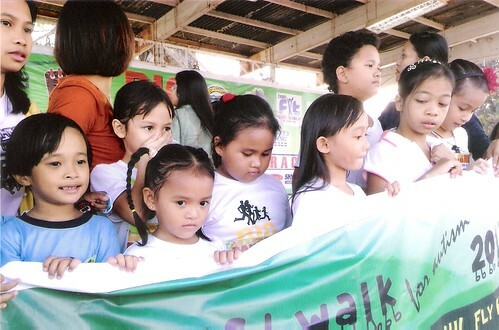 The Angels Walk for Autism was held in Zamboanga for first time. It was held with the city goverment’s “Run for a Cause” at the Paseo del Mar, Zamboanga City last 18 January 2015, that kicked off at 6am.. There were more than 500 participants from children, students (young & adult) parents, teachers and organizers from city government including Mayor Bong Climaco, an avid advocate of ASP and former teacher. The event was the perfect platform to invite all to celebrate the National Autism Week.